On the Add/Edit Tab screen, you will see a checkbox like this. 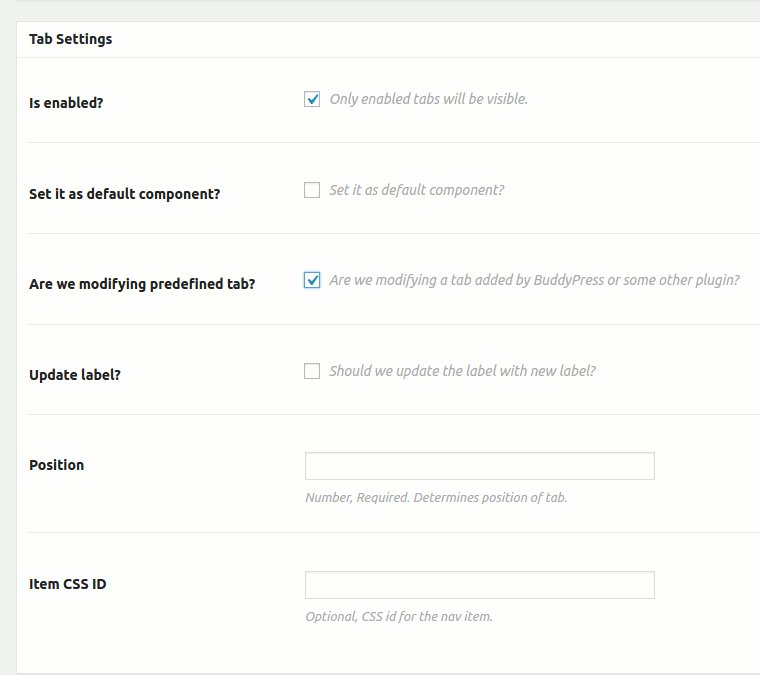 Once you check it, you will see the options to modify a pre-existing(tab that was added by BuddyPress or some other plugin). 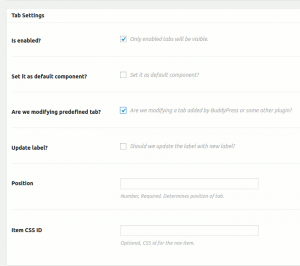 It is the most important option while modifying a tab. It is used to uniquely identify an existing tab. If you mark a tab as existing but the slug doe not exist, It won’t do anything. Slug is the last part of url after groups name when you click on a tab on group page. For example, we have marked the slug for members tab as shown below. Slug is the part that comes immediately after the group name in the url. In this case, It is ‘members’. Rest of the options are as shown below. All these settings are optional. If you do not specify a setting, It will not modify that. If you want to update the label, please make sure to check the Update Label checkbox. In order to reposition the tab, please enter a numeric value. Lower the value means the tab comes earlier.